Here are some fun Scrapbook Pages for you - just in time to fill with your Valentine's Day memories :). I hope you all have a great Valentine's Day tomorrow!! I'm actually hoping to be at a basketball game tomorrow night. My son, Cade, has just 2 more games left in his season. With all of the snow and ice we've had, his last 3 games have been cancelled. So..... 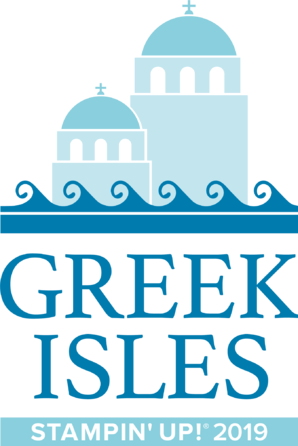 I'm really hoping this next game will be a "go" tomorrow night - fingers crossed!! 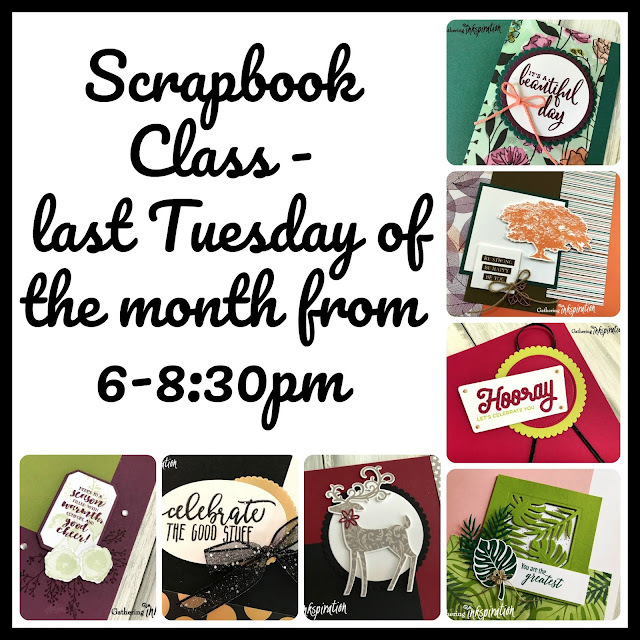 We start our first page with a Flirty Flamingo base, then added 2 pieces of Lovely Lipstick card stock to our page. 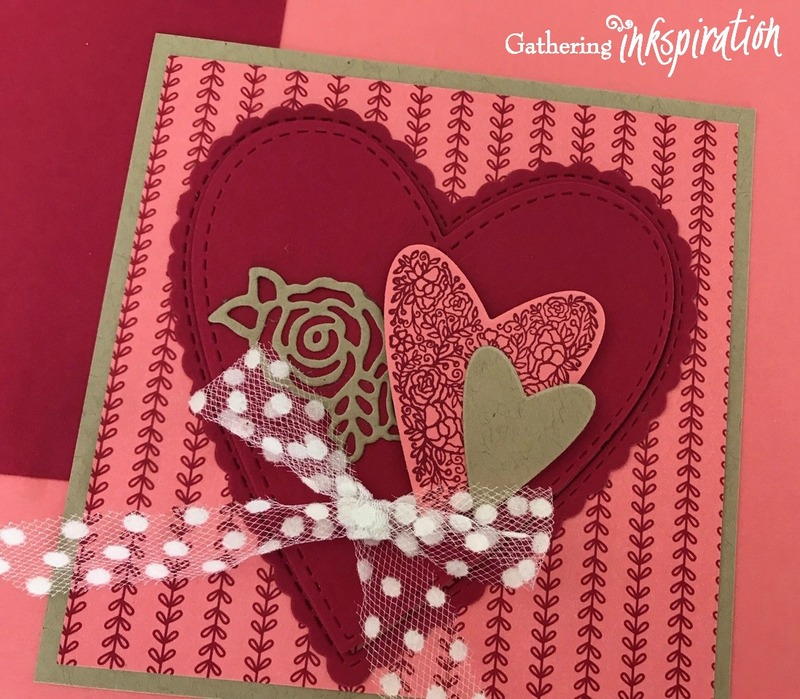 In the top corner of the smaller Lovely Lipstick piece, we stamped a heart in Lovely Lipstick ink using the Meant to Be Stamp Set and then layered one of our Heart Epoxy Droplets over top of it. 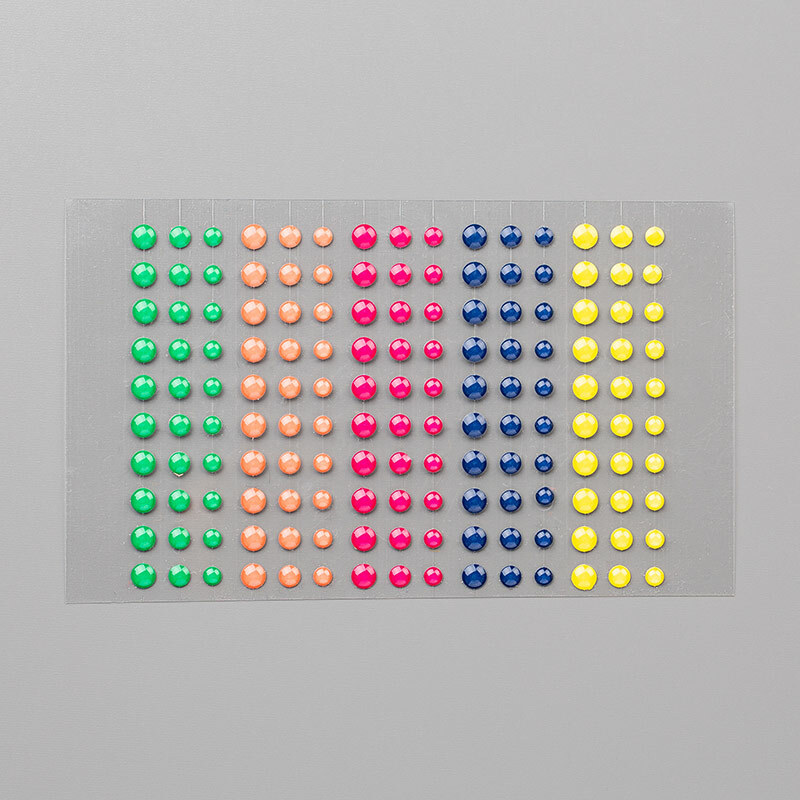 Those little epoxy hearts have been so much fun to play with. 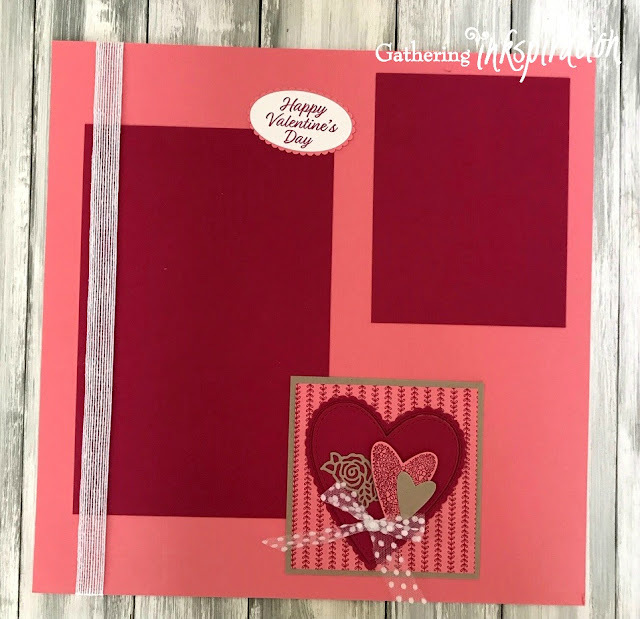 Next, we added a square piece of Crumb Cake card stock layered with a piece of All My Love Designer Series Paper to our page. 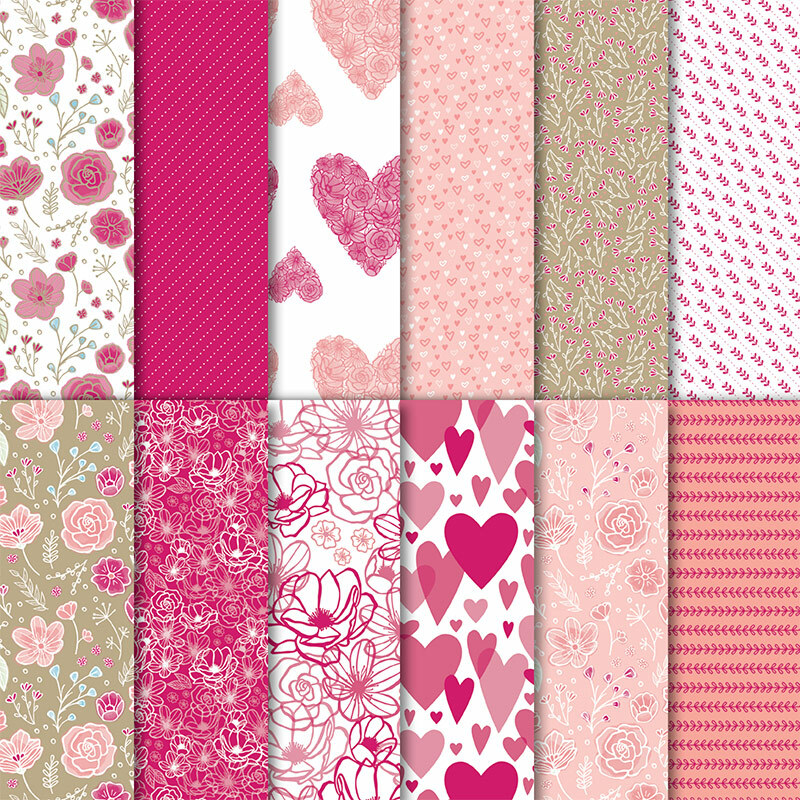 There are so many beautiful patterns in this DSP, and it doesn't just have to be for Valentine's Day. 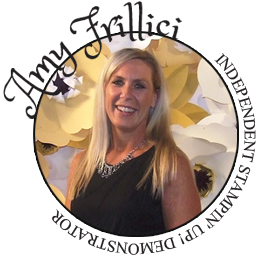 Check out all of the gorgeous floral patterns (like the one we used on the page above)! 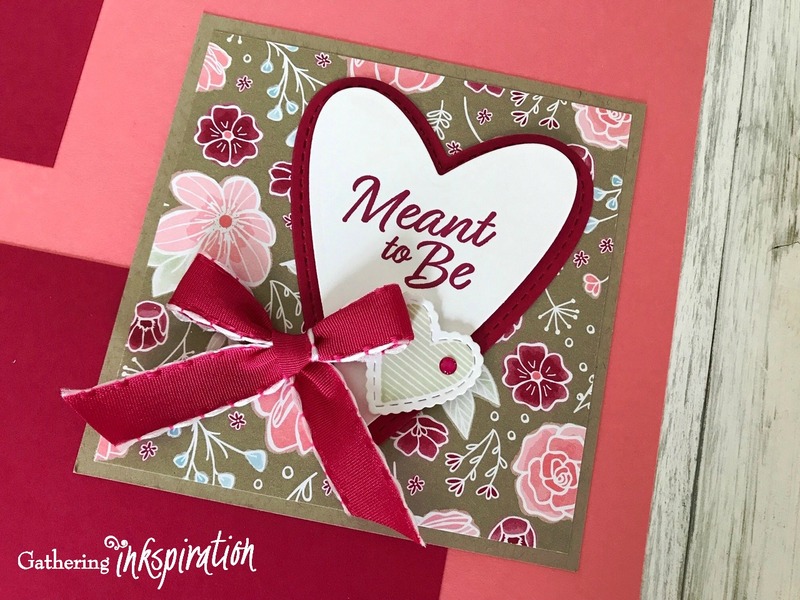 This time, we stamped "Meant to Be" in Lovely Lipstick ink and die-cut our heart using the Be Mine Stitched Framelits. We layered our white heart on top of another Lovely Lipstick stitched edge heart that was also die-cut with the Be Mine Stitched Framelits. 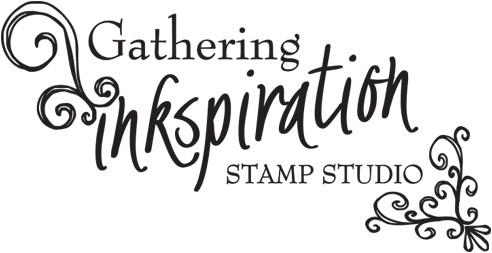 And.... we stamped a tiny heart in Soft Sea Foam ink (again using the Meant to Be Stamp Set and Be Mine Stitched Framelits). 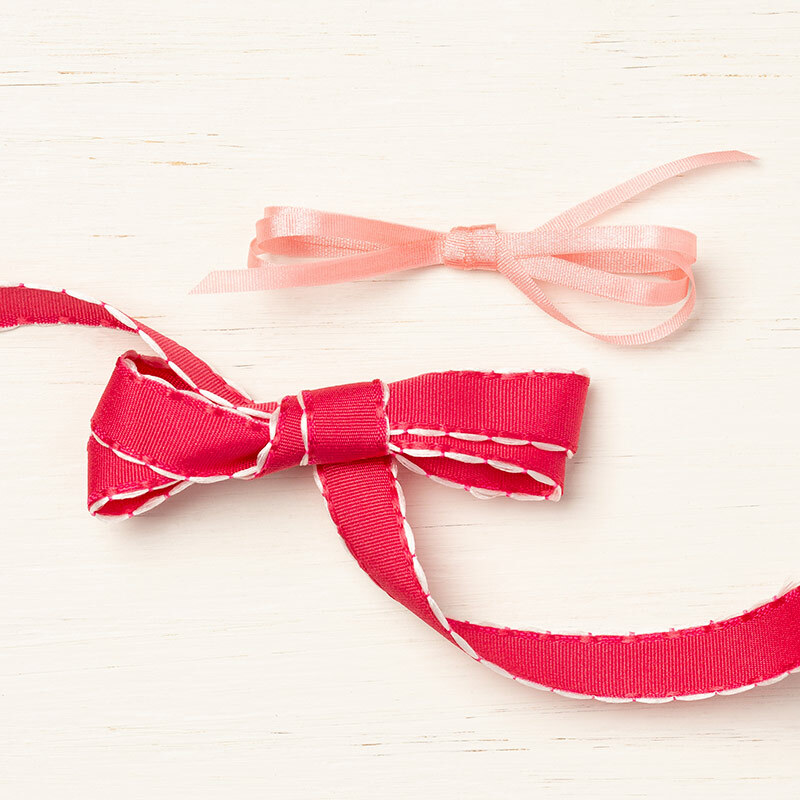 Finally, we added a Lovely Lipstick Happiness Blooms Enamel Dot to our small heart and tied an All My Love/Lovely Lipstick Ribbon bow and added it to our page. 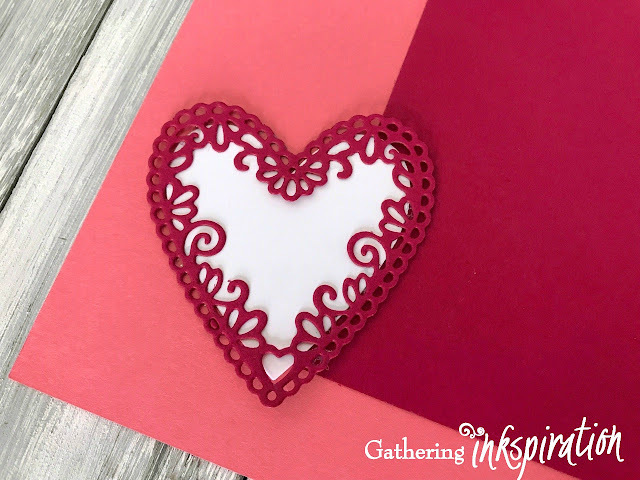 In the bottom corner of this page, we die-cut two more hearts - one in Whisper White card stock and the other detailed heart in Lovely Lipstick card stock. 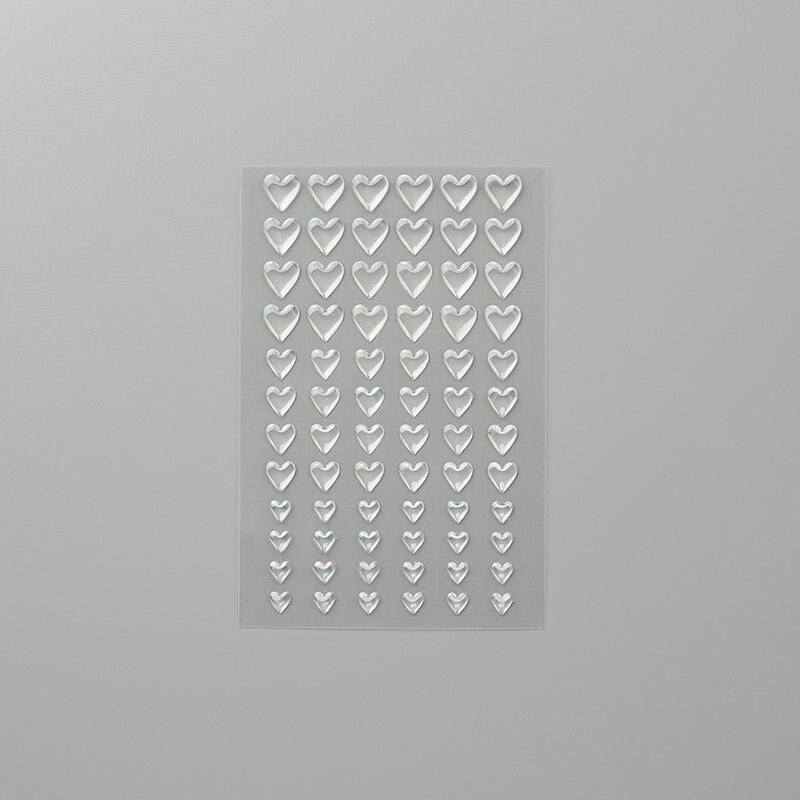 Again, we used the Be Mine Stitched Framelits for these hearts. 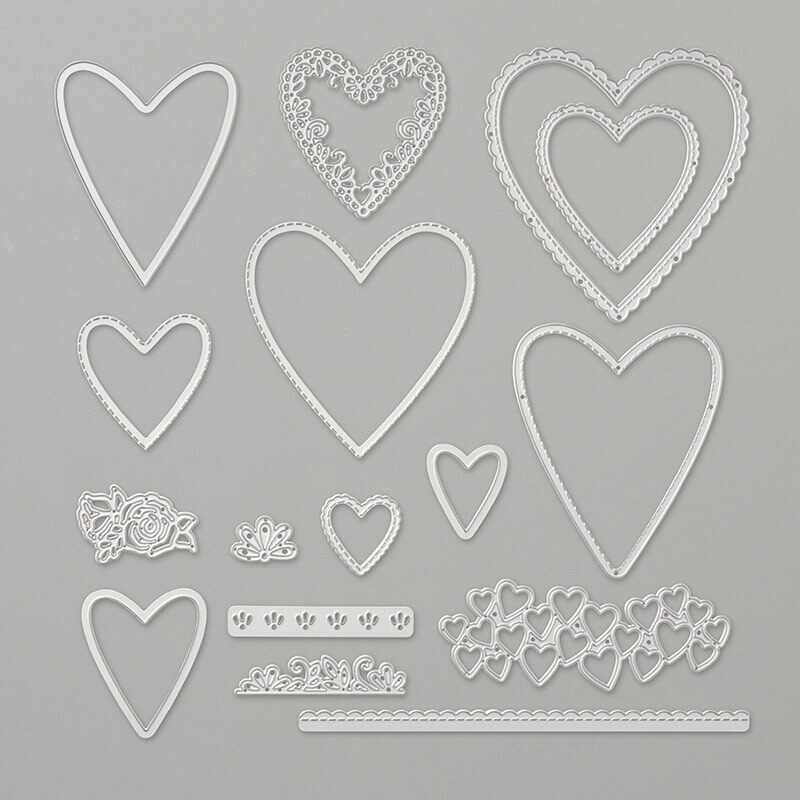 Can you see how many awesome hearts there are in this framelit set?? We haven't even used them all yet!! 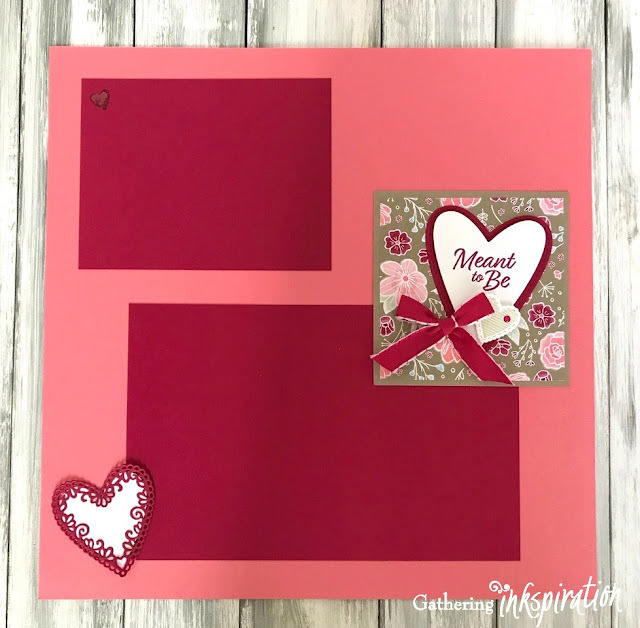 Again, we started with a Flirty Flamingo base and added 2 more pieces of Lovely Lipstick card stock to our page. 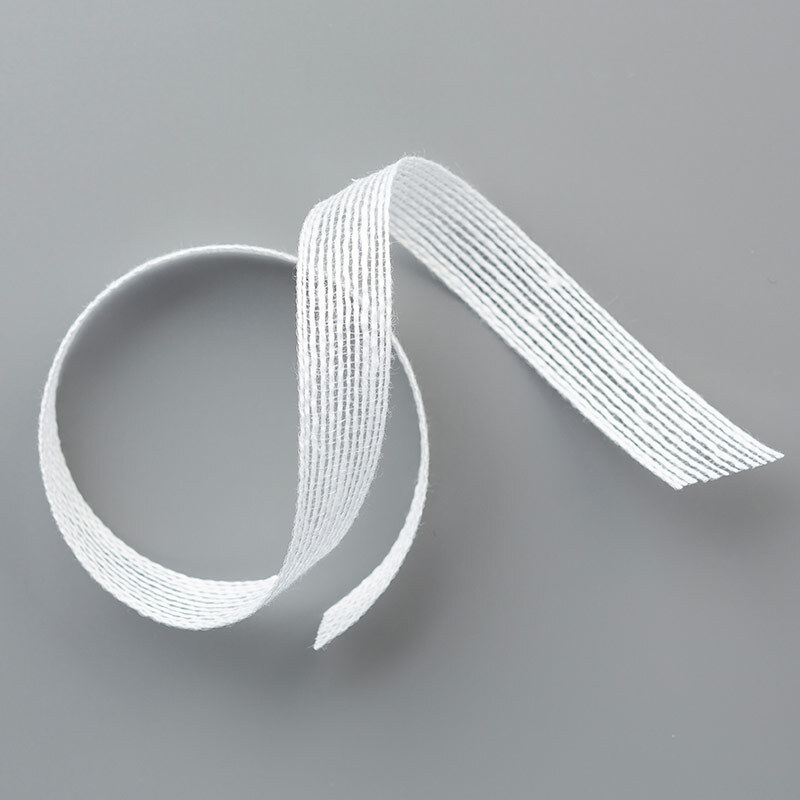 We also added a strip of Whisper White Flax Ribbon to the side of our page. 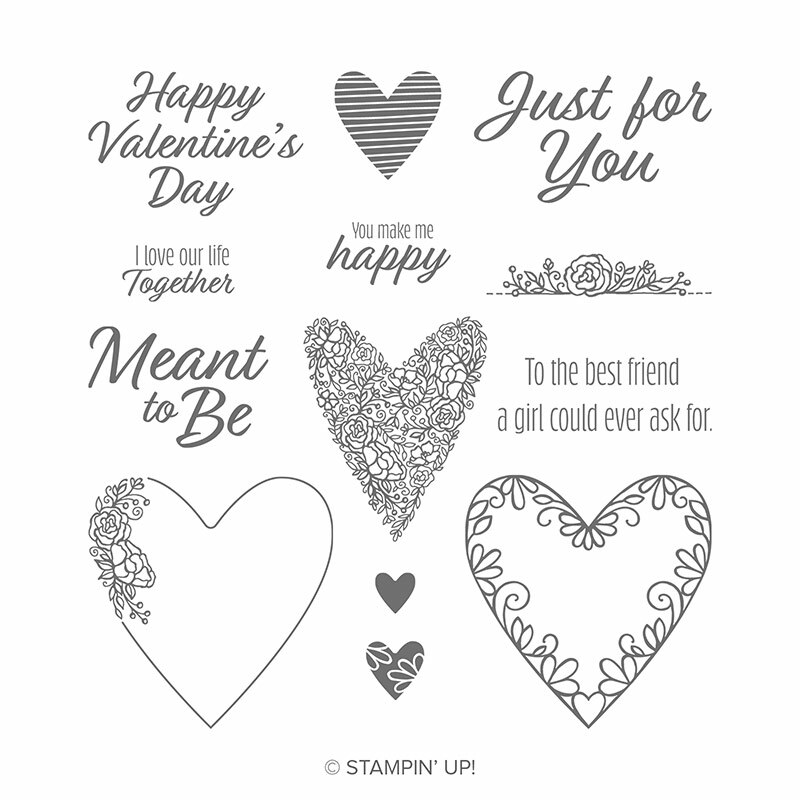 At the top of our page, we stamped Happy Valentine's Day in Lovely Lipstick ink using the Meant to Be Stamp Set and then die-cut the oval using the Layering Oval Framelits. 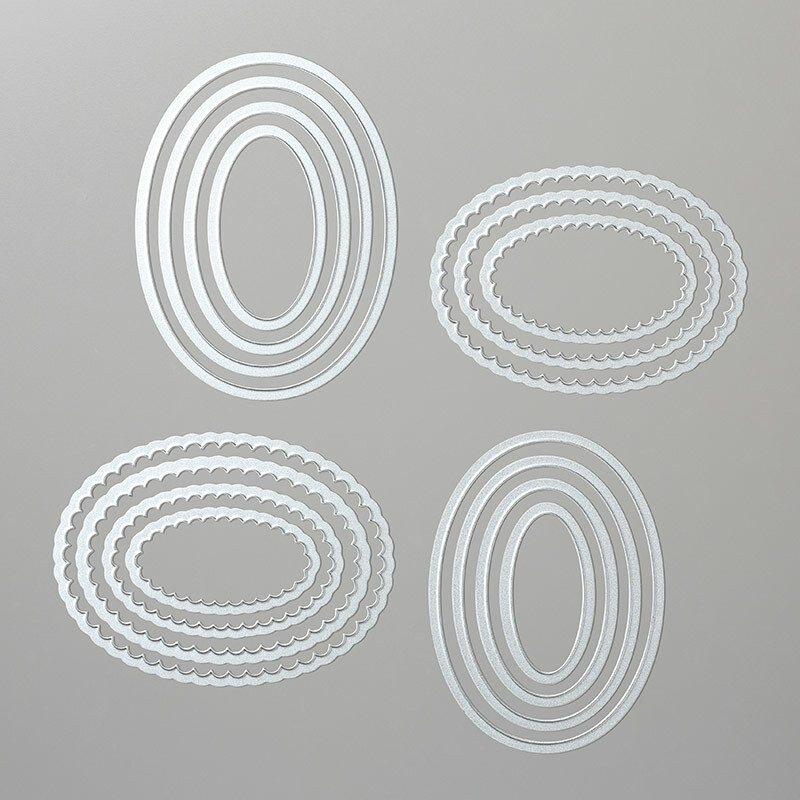 We layered our white oval over top of a Lovely Lipstick scallop oval die-cut using the same Layering Oval Framelits. 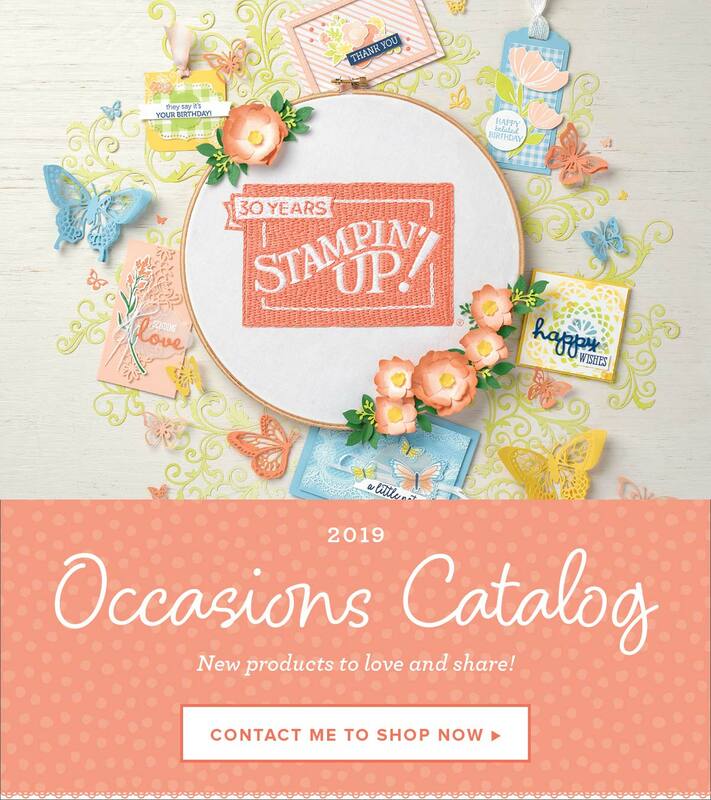 At the bottom of our page, we added another square piece of Crumb Cake card stock layered with another fun pattern in the All My Love Designer Series Paper. 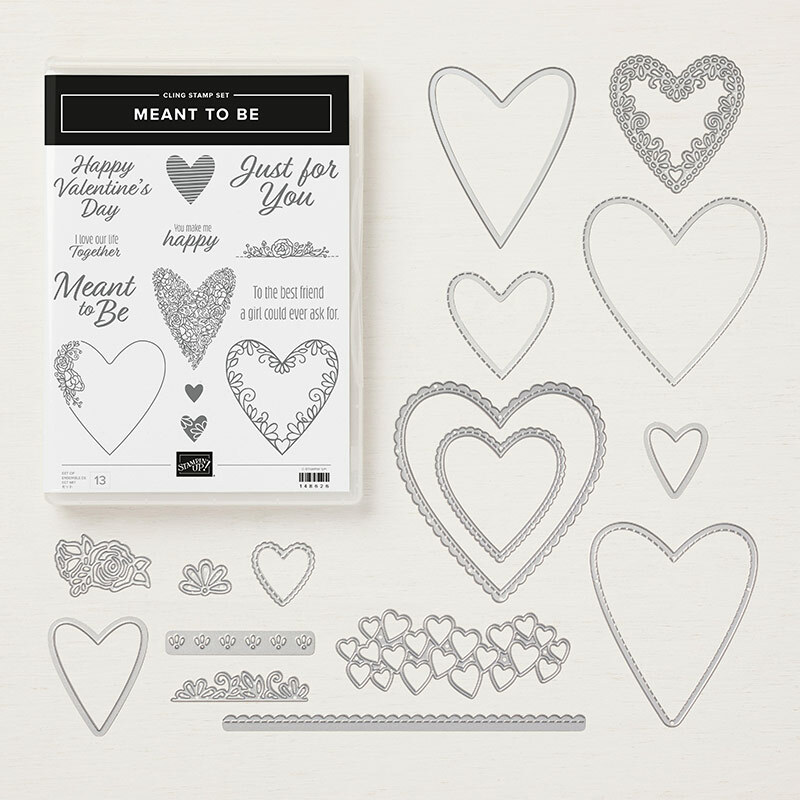 This time, we die-cut more hearts (and stamped the one heart in Lovely Lipstick ink on Flirty Flamingo card stock) using our Meant to Be Stamp Set and Be Mine Stitched Framelits. 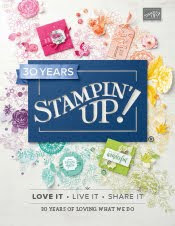 Are you kind of getting the idea at how fabulous this stamp set and framelits are???? 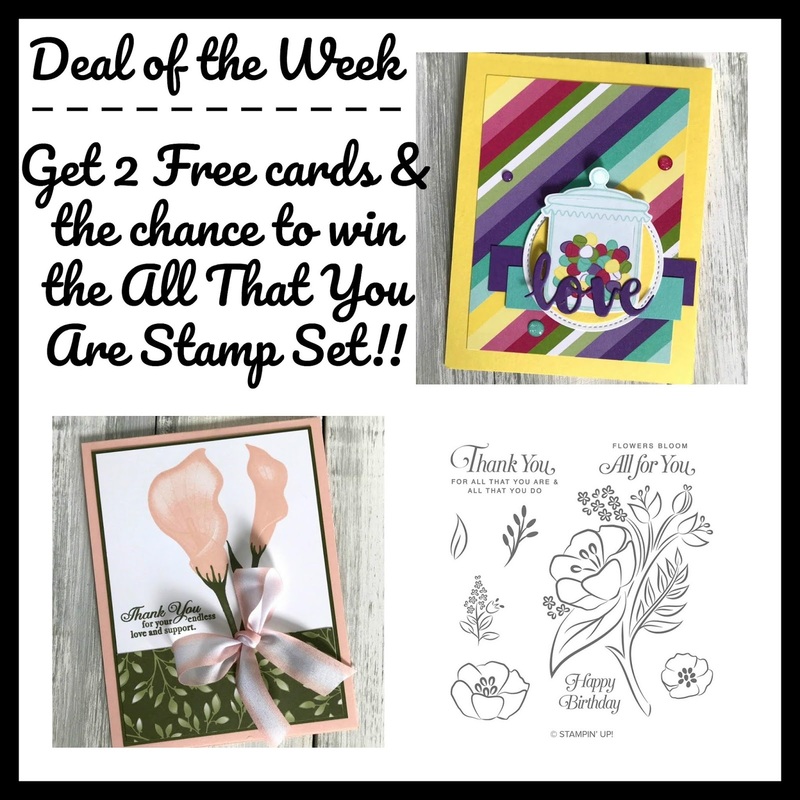 There are so many great images and dies to choose from! 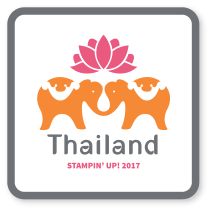 And... did you know....you can order the stamp set and framelits separately, or save 10% when you buy them in the bundle. 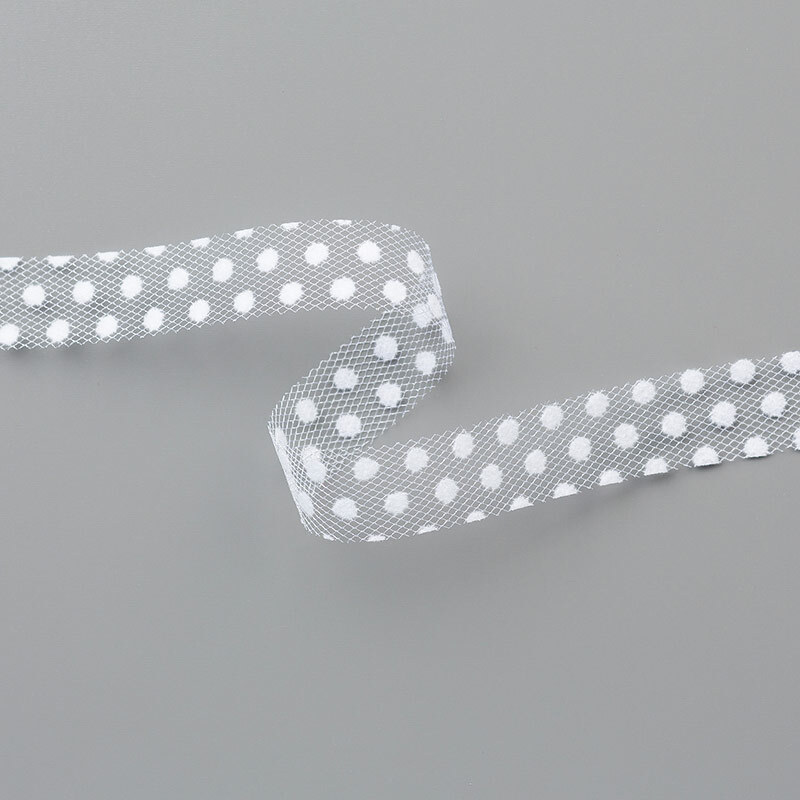 Finally, we tied a Whisper White Polka Dot Tulle Ribbon bow and added it to our page.